This gives new meaning to 'tying one on'. 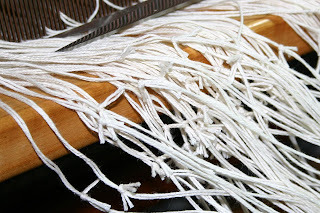 Rather than re-thread the loom, I'm tying on a new warp so I can weave another overshot rug. 319 weaver's knots later, I'm ready to wind on. 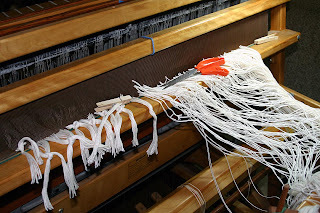 Sure beats spending the next three days re-warping the loom.